ExcelTemplates.net does not sell Avery® branded products. "Avery ®" and all other Avery-branded product names and SKU trademarks are trademarks of Avery Dennison Corporation. Avery Dennison does not sponsor or endorse any templates/content available on ExcelTemplates.net. Even in today’s technological world of email and texts, there is still something special about a letter delivered via the postal service. A card or letter through the mail says you took the time to make contact unlike the effortless, and sometimes thoughtless, point, type and click of electronic communication. To make your cards and letters stand out from the rest of the mail your recipient might receive, try customized monogram return address labels such as the ones you can make on your computer and printer with this document in the style of the Avery 8257 Template that works with Avery labels 6870 and 8257 that come 30 labels to a sheet. The free template can be found on this page. This easy-to-use template is customizable and can be downloaded here. The template can be used on any Avery paper that measures ¾ by 2 ¼ inches. The document with a similar layout to the Avery 8257 template will produce an attractive and distinctive return label you can be proud to have on your cards and letters. However, the return address labels are not just good for cards and letters. The monogrammed return address labels can be used anywhere you need put your address such as inside of books or other belongings. Keep some return address labels in your purse or briefcase for an easy way to leave your address on forms instead to filling it out by hand. Download the document similar to the Avery 8257 template here for free and start producing return address labels that will make it a joy to send mail again. 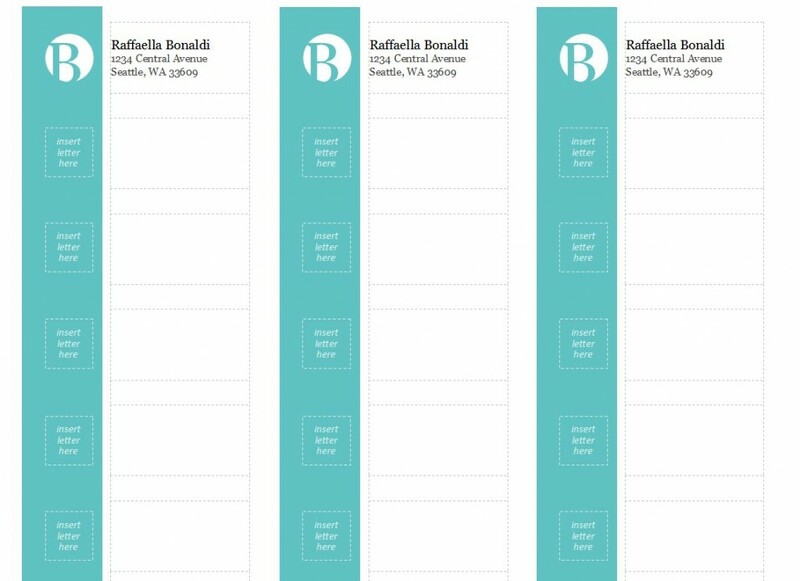 With this template, your computer and printer, soon you will have monogrammed return address labels for a fraction of the cost of having them professionally printed and in a style that reflects your taste.